Annamarie Pluhar talks about her book, SHARING HOUSING: A Guidebook to Finding and Keeping Good Housemates and psychologist Dr. Robin Zasio talks about her book, THE HOARDER IN YOU: How to Live a Happier, Healthier, Uncluttered Life. It’s a common thing for young people to live with housemates when they are in college. But more people than college students are moving in with each other these days. Some are doing it because they’ve lost their homes or jobs in the recession. Some homeowners are renting rooms to tenants because they need help in paying the mortgage. And some people are just looking for companionship in a society where families are far flung and friends are hard to find. Living together can help people live lighter on the planet, too. But it can be tough to find someone or someplace you are compatible with. Too often, sharing housing ends up in bitterness and ruptured relationships. Annamarie Pluhar has been living with housemates for many years. She’s seen the good, the bad, and the ugly about living with others. 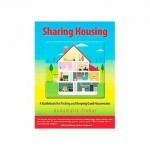 She shares her hard-won knowledge about how to do it right in her new book, Sharing Housing: A Guidebook to Finding and Keeping Good Housemates. As viewers of the TV show Hoarders know, more than 3 million people suffer from the psychological disorder, hoarding. While many of us can feel beset by too much stuff and too little time to deal with it, hoarding is a clinical disorder that goes way beyond ordinary clutter. It can ruin the lives not only of hoarders but also of their families. It can lead to homes that are layered with an archeological ruin’s worth of garbage, or crowds of pets too many to take care of hygienically. It leads to shame and isolation. Society looks on hoarders with contempt. But its roots lie in trauma, fear and anxiety. Hoarders need our compassion. And for those of us who have relatives who are on the hoarding spectrum, we can only help them if we understand them and treat them with kindness. 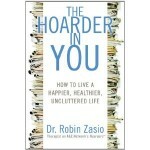 That’s the thesis of Dr. Robin Zasio’s book, The Hoarder in You: How to Live a Happier, Healthier, Uncluttered Life. 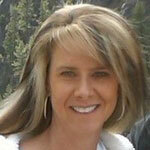 Robin Zasio is a Clinical Psychologist specializing in treating anxiety and related disorders. 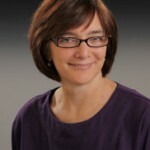 She founded and directs The Anxiety Treatment Center, the Cognitive Behavior Therapy Center, and the Compulsive Hoarding Center in Sacramento, California and is a featured doctor on the A &E hit series Hoarders, currently filming its fourth season.